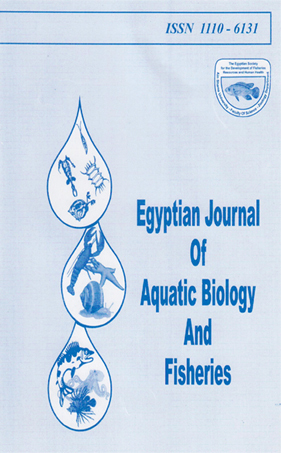 1Marine Biology Branch, Zoology Department, Faculty of Science, Al-Azhar University, Cairo, Egypt. The present study assessed the effect of hot smoke at 50-90°C for 5-6 h using hard sawdust of beech wood and two salt levels (10% and 16%) on keeping quality of grass carp, Ctenopharyngodon idella, fillets stored at 4±1°C. Chemical composition, physiochemical aspects, minerals and sensory analysis were determined. Results showed that, the mean values of moisture, proteins, lipids, carbohydrates, ash, calorific value, pH, TVBN and TBA were 78.11±0.69, 16.55±0.84, 2.31±0.01, 1.16±0.01, 1.87±0.01, 91.63±1.49, 6.55±0.01, 4.43±0.05 and 0.43±0.01, respectively for raw grass carp; while it was recorded48.22±0.23, 23.38±0.18, 13.88±0.11, 8.14±0.01, 6.38±0.09, 251.05±1.33, 6.15±0.05, 12.42±0.03 and 2.54±0.05, respectively for hot smoked grass carp fillets with 10% salt concentrations and 48.01±0.23, 23.01±0.18, 14.66±0.17, 5.41±0.03, 8.50±0.03, 247.27±2.22, 5.52±0.03, 8.88±0.02, 2.04±0.07, for the hot smoked grass carp fillets with 16% salt concentrations, respectively. Mean values of the tested minerals and heavy metals (mg/100g, on dry weight basis) of raw; hot smoked fillets with 10% and 16% salt concentrations were as follows: Ca (170±0.27, 233±1.11, 236±1.21); K (197±0.26, 349±3.01, 448±4.55), P (187±0.12, 343±3.33, 375±4.88), Na (93.80±0.35, 103±12.76, 115±12.77), Cd (0.07±0.001, 0.023±0.001, 0.020±0.001); Cu (1.33±0.01, 2.46±0.01, 3.46±0.04); Fe (25.15±0.47, 60.87±0.21, 69.23±1.31); Mn (0.98±0.01, 0.78±0.001, 0.76±0.02); Ni (0.64±0.003, 0.77±0.001, 0.60±0.001) and Zn (9.92±0.51, 24.38±0.04, 18.80±0.05), respectively. Statistical analyses showed that, moisture, pH value, TVBN and TBA were significantly increased with the increasing storage time, while, proteins, lipids and ash were significantly decreased. Physicochemical aspects and sensory scores showed that, 16% salted hot smoked fish was better than 10% with prolong the shelf life of hot smoked grass carp to 40 days of cold storage.